After the success of “Subtlety & Passion”, I was thinking about what to do next. There were a couple of tracks on that CD, where producer/guitarist Hank Linderman had played acoustic guitar in the manner of Joao Gilbertro. Mark Fried, head of Spirit Music group, a publishing firm, heard these tracks and thought he would like to hear what a complete project of Bossa Nova flavored music would sound like. He approached NYC producer John Van Eps, who called me and asked if I was interested … and I was! Very! I was living in New York City, when not touring with my group, Chicago, and by late 2005, John and I began writing and choosing jazz standard songs I have always loved. Mark also was very creative in submitting some songs ideas.We couldn’t decide if this was going to be Bossa Electronic, or Organic/Acoustic, both approaches were sounding good in the early going. We decided to show both sides with John’s great ‘re-mixing’ skills, on 3 tracks: Girl Talk, Samba in Your Life, and Nice ‘n’ Easy. This project was a labor of love, truly, I could have kept recording for another year, but we were out of time and financing. I really loved exploring the lower ranges of my vocals, and lower volume and velocity of the Bossa Nova style. I have always had the greatest respect for the Brazilian artists who emerged in the 60′s and 70′s. This album is my bow of acknowledgment. Although Robert Lamm, singer/songwriter/pianist of Chicago, has revealed a taste for Latin music among many other styles in his songs (e.g., “Another Rainy Day in New York City”), this solo album is a considerable departure for him. 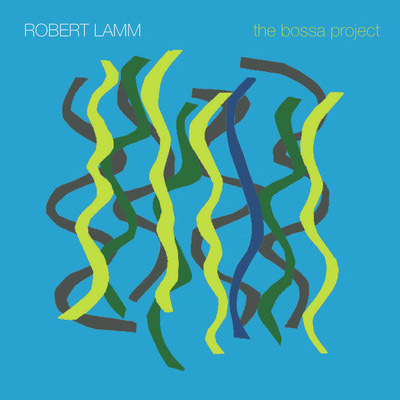 It is what it says it is, a collection of bossa nova arrangements on which Lamm serves as singer. The other major force in the project is John Van Eps, who plays piano, percussion, bass, and “orchestral programming,” in addition to arranging and producing. (He also wrote “Samba in Your Life” and co-wrote “Haute Girl” with Lamm.) On his previous solo albums, Lamm has staked out a musical personality similar but not identical to the one he occupies in Chicago, largely writing his own pop/rock songs. Here, although he does have three writing credits, he is largely a vocalist. For that, he uses his conversational midrange, taking it, as one song title put it, “Nice ‘n’ Easy,” but observing the Latin rhythms and managing to get through all the words on the potential tongue twisters “A Man and a Woman” (the theme from the 1966 Claude Lelouch movie) and Antonio Carlos Jobim’s “Aguas de Marco.” This may be a busman’s holiday for a rock singer/songwriter, but it may also suggest an alternate career path, and at very least demonstrates Lamm’s versatility.